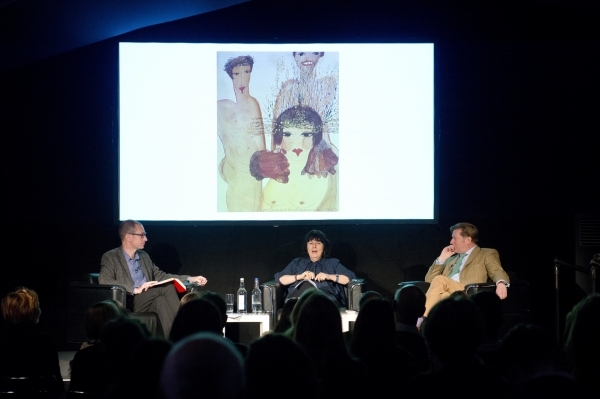 Panel on Writing, Frieze Masters Talks 2015. Photograph by Linda Nylind. Courtesy of Linda Nylind/Frieze. Frieze London and Frieze Masters open this week (October 6-9) at the Regents Park in London. It’s their 14th and 5th editions, respectively; the fairs will bring together more than 300 of the world’s leading contemporary art galleries from 30 countries. Frieze London will feature The Nineties, a new gallery section curated by Nicolas Trembley, as well as ambitious installations and solo presentations by the world’s most exciting artists, including many major female figures. Frieze Masters will excite with new curators, innovative gallery collaborations, incoming antiquities specialists, and Frieze Master Talks that will feature Marlene Dumas, Okwui Enwezor, Gabriele Finaldi, Philippe Parreno, Alastair Sooke and Lynette Yiadom-Boakye. Frieze Sculpture Park will open concurrently with the fair and will remain on view through January 2017.